EnSpireMe, once dead, has been revived. This GUI is back in the line of development, and it is looking good. There are some interesting improvements. There is a new security feature which stops certain users from running programs in EnSpireMe, which can come in handy. There are more graphics included, and a couple programs have been added. This is a powerful GUI, and it can be very inspirational. 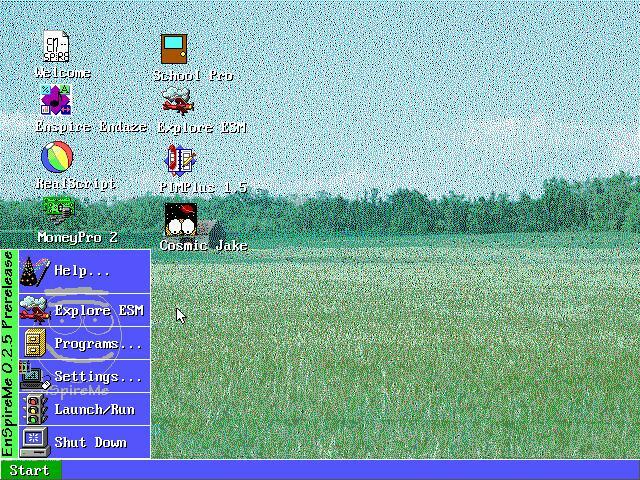 you can run it in dosbox 0.5 (runs in win 10 without install - search on google.com for the .zip compressed file). very nice.